Wondered what happens when you decide to disable the ads on your Kindle? 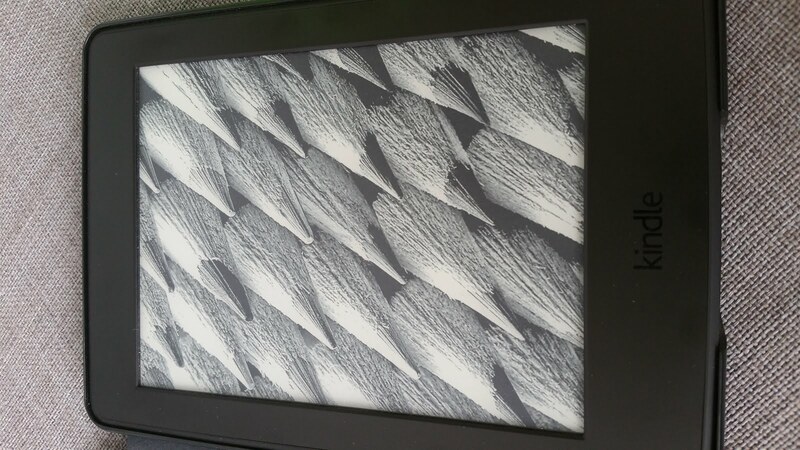 Well, once you disable the ads, it displays a bunch of traditional Kindle screensaver backgrounds such as pens and random designs (sample photos at the bottom of this post). 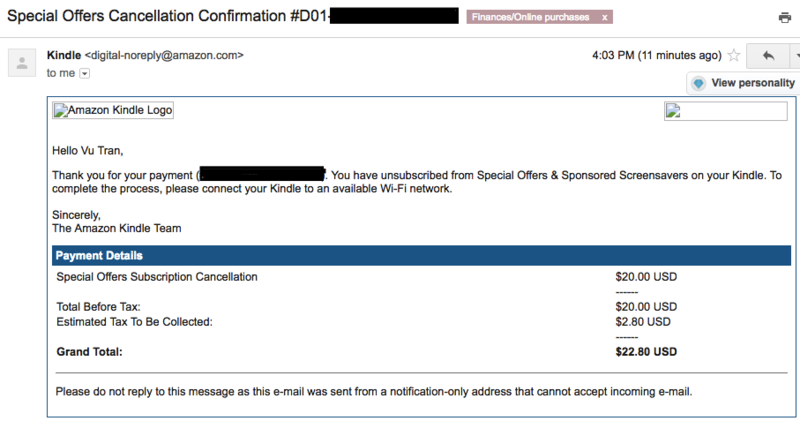 It cost me $22.80 USD (20 + 2.80 taxes) to unsubscribe from the special offers — which is around the price difference with the Kindle models that come ad-free out of the box. 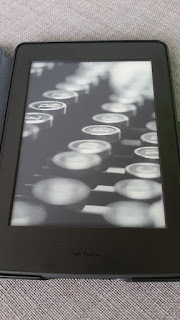 Free ways to remove it for a bit can be to put your Kindle device on “Airplane mode” for a couple of weeks and it will go away. You need to connect it to wifi at some point to add any new books, so just keep in mind, as this is not a long term fix. 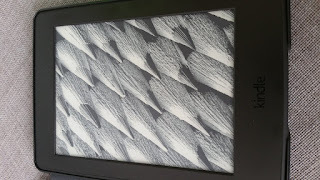 You can unsubscribe from Special Offers on your Fire or Kindle device if you do not want to receive Sponsored Screensavers and Special Offers. Amazon is able to offer Kindle and Fire tablet models at a subsidized price by delivering Special Offers and Sponsored Screensavers. If you originally purchased a Special Offers device you will be charged a one-time payment to unsubscribe from this service. Click your device to display more information. Next to Special Offers, click Edit, and then follow the instructions to unsubscribe from Special Offers. You’ll see the amount of the one-time payment before you confirm. Your 1-Click payment method will be charged when you unsubscribe from Special Offers and you’ll receive an e-mail notification.